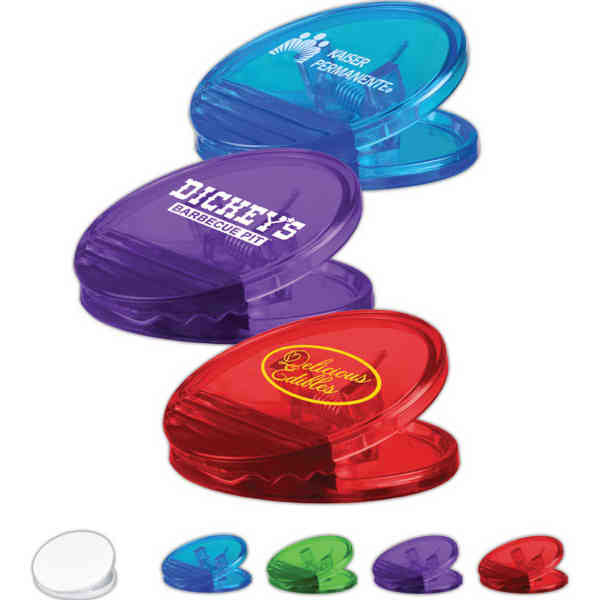 Stick it to the competition by adding this small round bag clip with magnet to your promotion! Measuring 2 1/4" diameter, it's made of polystyrene and offered in white and various translucent product colors. Assorted colors are available in lots of 100 per color. Add a pad printed imprint of your company's name, logo or advertising slogan before handing it out to your target audience to introduce your brand at tradeshows, grand openings, company gatherings and more!